Replays are tight stingy affairs but so was the drawn game. Usually the better team comes through the second day round and for me that is the clans. They have players and should have learned enough about the tricky Brides to get over them. 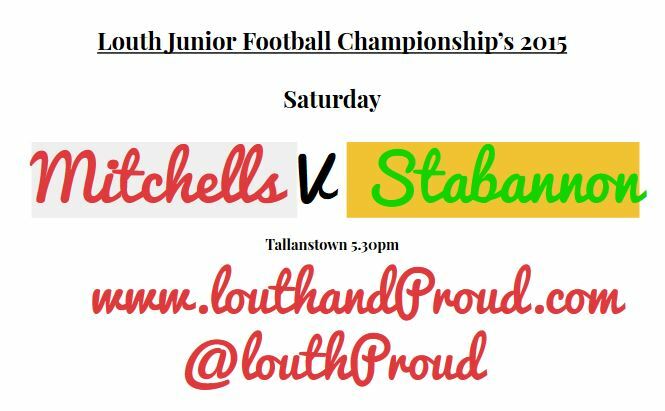 The Mitchells and Stabannon will both be eyeing each other up and thinking we can beat this crowd and reach a Junior Semi final! The Parnells have too much fire power however. 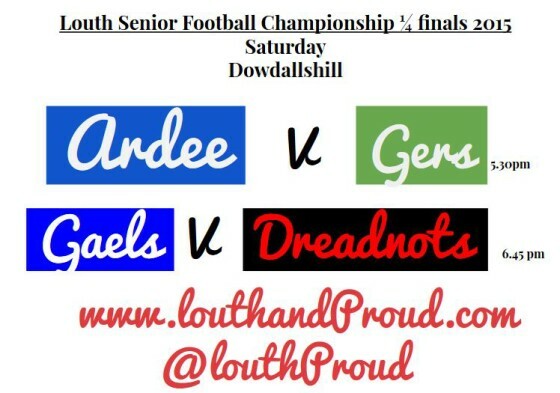 What we will see in Dowdallshill on Saturday will be two very intriguing matches and highly tactical match ups. Ardee have shown form all season and have a defensive system to stifle the Gers forward flair. The Gers like a good chameleon, can mix it up and go defensive and copy opposing teams to great effect too. I think the Marys familiarity with their system will shade it. just. 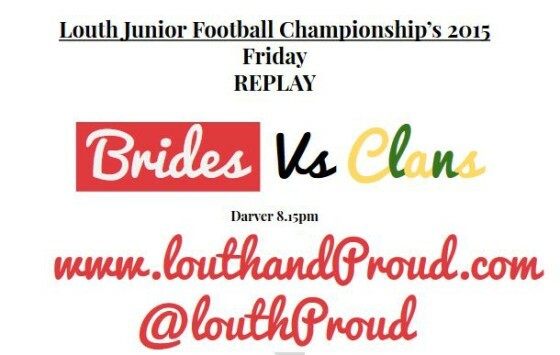 Repeat of last years semi final pairing which went to a replay, Clogher and the Gaels. The Gaels are really defensive, they set up with 13 behind the ball and it’s got them this far and they know how to play it and fair play to them I say. Clogher also know how to break it down and will take confidence that they did break it down last year. I want to say the Gaels will shock the Dreadnots but something tells me the seasiders have the eye of the tiger this year and nothing is going to stop them. Stabannon came back to force a replay with the Mitchells 1-6 a piece. No doubt about it the Kevins are on an upward curve. they’ve a couple of talented youngsters but this Finbarrs game is too soon for them. 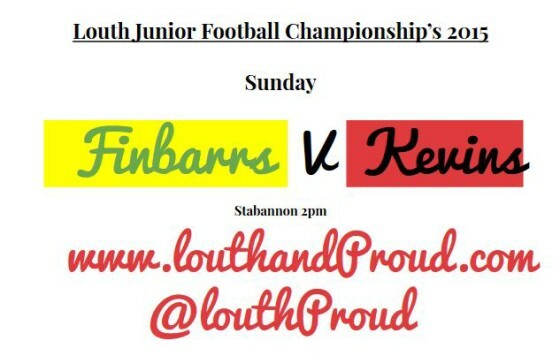 The Togher men are the team to beat in junior this season will they use the Kevins game to lay down a marker? that is the question. The unlikely duo of the O’Raghallaighs and Sean O’Mahonys have a glorious chance of reaching the senior championship final 4. Both teams are there on merit and full value for it too. The O’Raghallaighs have as dangerous a forward line as anyone else left and no team will work harder than them that’s exactly what has gotten them there in the first place. The O’Mahonys are a championship team and are used to the high pressure ties on the back of their intermediate run last year. I think that momentum will see them overcome the Raths but that’s exactly what the Drogheda men want to hear, right? 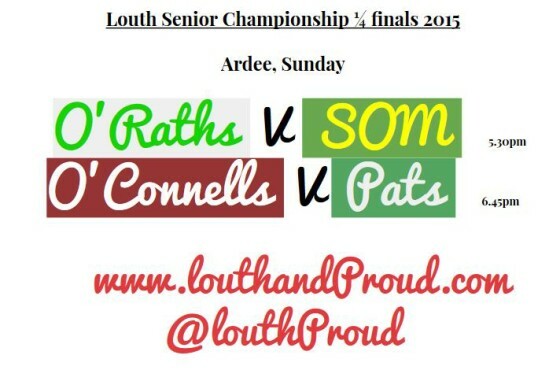 The most exciting team going forward in Louth the O’Connells, face the sternest Defence in Louth, the Champions Pats. How both teams fair the other end is deciding factor can the Castlebellingham men contain the two O’Connors? The Pats have not hit the heights of previous seasons yet, so the O’Connells will give them some nervy moments. However, I still fully expect the Pats to find a way to the semi final. The 2 O’s Drew with Ruairi Moore levlling for the Raths 3-8 to 1-14. Finbarrs were too strong for the Kevin’s!